Because I touched upon most of the Important Films quite early in this project, when I didn't know what I was doing with it, I feel I gave some of them short shrift. Which is why I gave The Witch, Blood on Satan's Claw and Witchfinder General second goes. 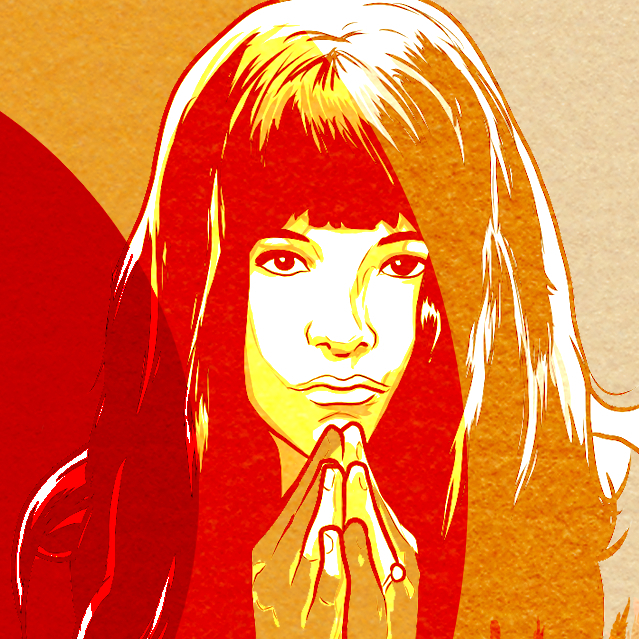 My original piece about Valerie was quite good, I thought (it has one glaring error in it, which is going to be fixed in a second edition, though), since it was almost as oblique as the film. In many ways that piece on Valerie was the first one where I thought, actually, you can do something more interesting than just say whether you liked it. But still, I reckon Valerie deserves more. Valerie will always deserve more. The launch party for the book, We Don't Go Back, happened at Swansea Museum on the 28th September and we decided to screen a film with an introduction, because that's what I do these days. Since it's relatively short, important to the folk horror community at large and on the cover of the book, Valerie and Her Week of Wonders was a shoo-in. It was a fun event. The crowd was big enough to be a crowd, and most people bought a book, which was amazing and humbling. It was a good night. Nothing ever goes entirely smoothly with me, but it's about the net result, isn't it? There was a slight hiccup at the start, when the subtitles failed to appear. It was rectified quickly, and no one cared, but Jon texted me just then to ask how it was going, and I said, the film started without the subtitles, and Jon replied, “That doesn't matter.” And certainly some people wouldn't have had any less luck figuring out what was going on if the subtitles had remained missing. But then, it's not a movie you figure out. It's a film that communicates a feeling. It's a film that brings associations. I'm sort of glad that Valerie will now be associated for me with the warm feeling of modest success. It feels like it's the sort of film that should be. The thing about being a teenager is that you’re in a state of constant uncertainty about who you are, and who your friends are, and who the adults around you are; you realise you’re going to be an adult much sooner than you thought and these people you grew up with are no longer exactly who you thought they were. But who are they? You wonder about people’s relationships with you. Wonder about whether the person you fancy is someone you should be fancying. And so it is with Valerie (Jaroslava Schallerová). We see the world she navigates in daydreams during her week of wonders through her eyes, and the eyes of most people are unreliable, and never more than when you’re a teenager. So her grandmother (Helena Anýzová), devout and severe, turns into someone who has a torrid sado-masochistic affair with a priest, and then grows younger and becomes a vampiric temptress. Valerie’s mother is played by the same actor, and the sense that grandmother, cousin, friend, enemy, parent, all meld into one another is entirely teenage. Orlik (Petr Kopriva) is a boy from the travelling players, and then he’s her brother, and then her lover, and it goes back and forth, as she sees the boy with the mandolin, and experiences a series of adventures with him, and loves him, and can’t quite get straight exactly how she loves him. And the same goes for Tchor (Jirí Prýmek), who is a vampire, or a constable, or a priest, or her father, or not her father. 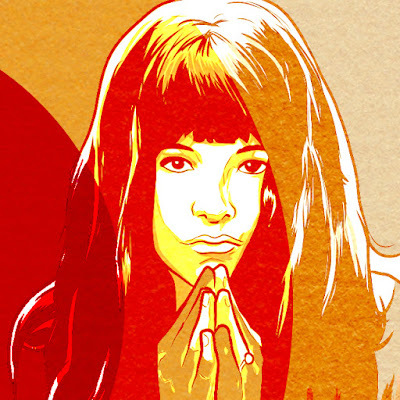 The priest Gracian (Jan Klusák) is the only principal character Valerie meets who is not ambiguous, or supplied with a doppelganger, or who changes identity. And he's just a hypocritical perv with wonky teeth and a necklace made of fangs under his cassock. He represents everything wrong with Catholicism. I think that the anticlerical line of Valerie and her Week of Wonders, its only really explicit political statement, is part of the reason why this, which is not a very communist film, got past the Communist censors (the main one being that Vítězslav Nezval, the writer of the original novel, had become a prominent Communist grandee of unimpeachable reputation, and notwithstanding how problematic Valerie and Her Week of Wonders would be for later Soviet censors, it was by default OK For Communists). It stands to some sort of reason that Jaroslava Schallerová, all of 13, didn’t tell her mum and dad that she’d auditioned for Valerie until she’d got the part. Because whatever the symbolic value of her story, and whatever the earrings symbolise especially, the one thing that comes through over and over is how, despite all of the fears it raises, of vampires and abusers, there is that sense you often have when you are a teenager (or at any rate a well-adjusted one), that you’re invincible, and that no matter what situation you’re in, you always have some sort of way out. It’s like hope is hardwired into you. Or at least, this was my experience; no matter what hell I was going through, I kept believing, against all available evidence, that it could be better, and that one point where I did give up and try to end it, that was an aberration, not the rule. There’s much in the film that someone working with real teenagers in the 21st century would call “safeguarding issues”, but somehow that’s not part of this film’s world. The teenager’s romantic awakening – and notwithstanding the way that Valerie experiences sexuality, it’s romantic rather than sexual – is no stranger or more “adult” (and what does that word even mean anyway?) than a Judy Blume novel, really. But Valerie and Her Week of Wonders is made by adults, and it doesn’t so much get across what it feels like to be an adolescent as what we remember of how it feels to be a teenager. It gets this across beautifully, and powerfully, and with a soundtrack that is possibly more famous than the actual movie – and even the few people who absolutely hated the film at the screening conceded that it has some properly hummable tunes. Nonetheless, the one thing that Schallerová gets across, as the camera falls serenely in love with her, is her invincibility. She doesn’t have really to act very hard, just react to the stuff that’s happening, and enjoy it. Apparently Schallerová had an absolutely lovely time making the film, which I think comes across in how relaxed and, well, happy she is in front of the camera, even when she’s being burnt at the stake, or committing suicide to avoid being raped by a priest, or assaulted by vampires. None of these things are fatal. Valerie dies more than once, but death doesn’t take, because in her innocent imagination she cannot really imagine what dying will really be like. And anyway, this is her daydream, and she is in control of it, and she gets to decide what’s fatal. 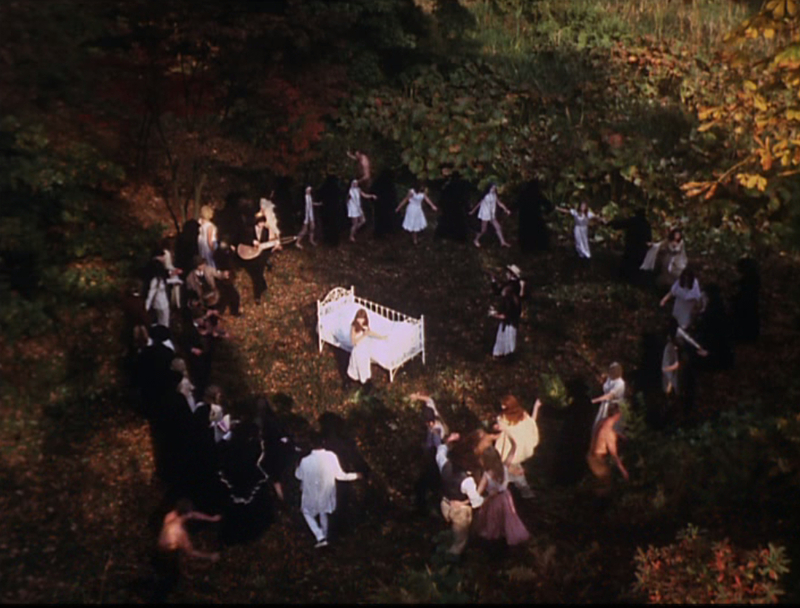 Valerie and Her Week of Wonders is one of those films at the centre of the 21st century folk horror movement that break folk horror, and which is perhaps more or what I'd call a "pagan film". 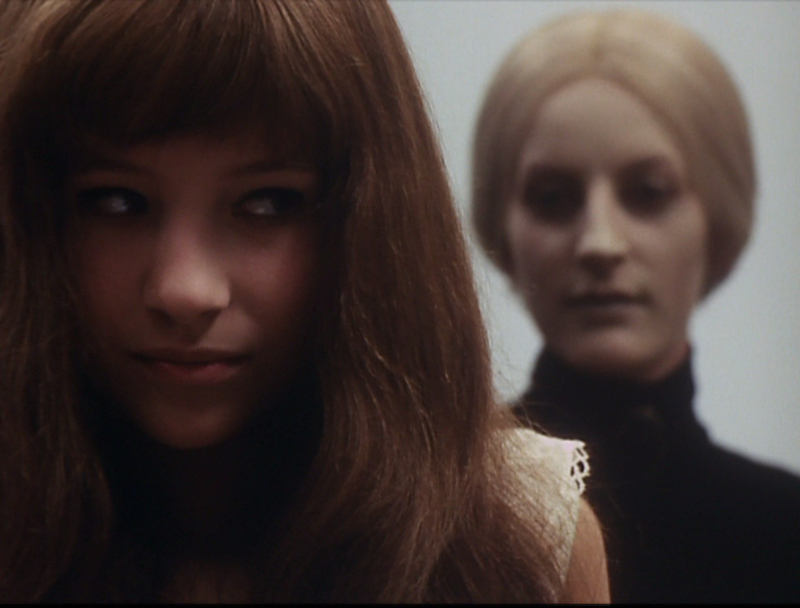 Where much folk horror chills, Valerie reassures; where most folk horror is bleak, Valerie is affirming and reassuring. In the world of Valerie, adults are strange mercurial creatures; there are doppelgangers and perverted priests, thieves and liars. But still, for Valerie it’s going to be all right. Everything will be all right in the end. Want to read more of my film criticism? 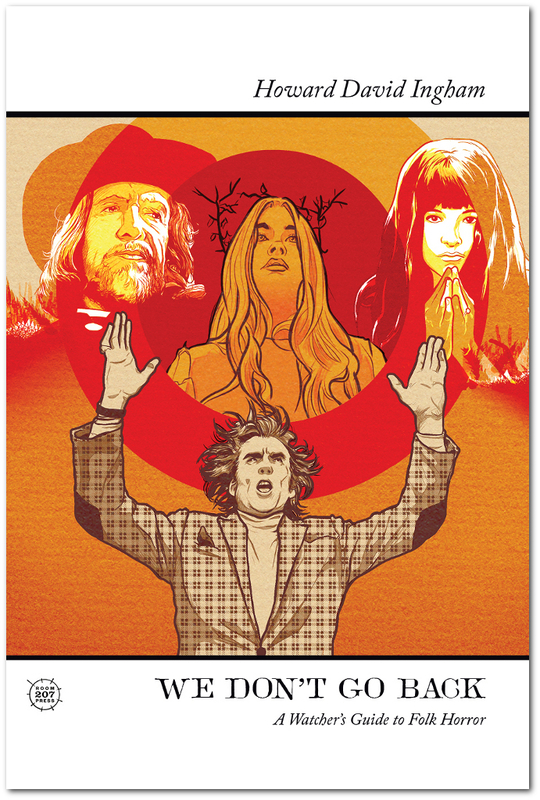 We Don't Go Back: A Watcher's Guide to Folk Horror is out now!